Because of the motion of earth in its orbit around the sun, sometimes the other planets appear to be traveling backward through the zodiac (from our vantage point). This illusion is called retrograde motion. In the case of the planet Mercury, retrograde motion occurs three times a year for a period of about three weeks. Because the planetary force of Mercury is associated with travel, contracts, and communications, this time was traditionally associated with confusion, miscommunication, delays, and frustration. Mercury’s retrograde periods are often blamed for plans going awry, lost emails, technology breakdowns, and other issues of modern life. Recently I made the following suggestion to a friend of mine who was having a particularly rough time during a Mercury retrograde event. He’s since contacted me to let me know how well it worked and that he’s spreading this bit of tech like a prophet among his friends and peers. To my surprise, his post on facebook about it garnered a lot of attention; I thought this was a fairly common working in planetary magic. Thus, I’ve decided to share this trick for relatively smooth sailing through Mercury retrograde. When Mercury goes retrograde, on a Wednesday during the hour of Mercury (you can find particular planetary hours for your location at Lunarium) write out the kamea (magic square) of Mercury. such that they match up exactly and every number has a line going through it. You can burn a Mercury incense or mastic resin and orange candles while creating the talisman to give it a little umph. 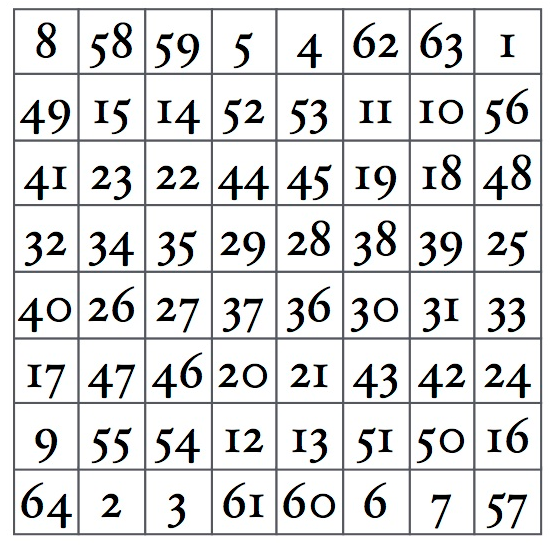 Planetary kameas are used to bring and magnify planetary energies and the seal is a graphical representation of this numeric grid. Somewhere many years ago, I learned that placing the seal on top of the kamea blocks a particular planetary energy, in effect “sealing” the focal lens. I would cite a source, but I have no idea where I got this, and at any rate magic should sometimes be about experimenting and experience. In our experience and those we’ve shared it with, this conjoined figure blocks the energy of Mercury. You can put the square on your desk, by your phone, write it on a post it note and stick it to the side of your computer, take a picture with your cell phone camera and make it your background. There are a number of ways it could be employed to help smooth things over for you. 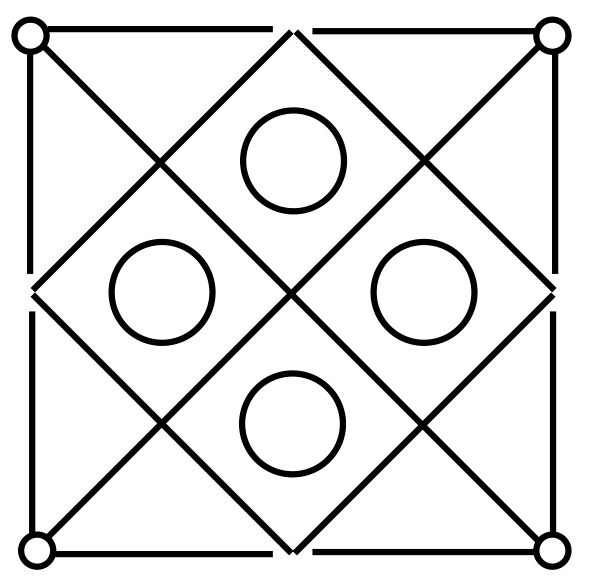 In doing this, you will of course be blocking both the negative and positive effects of the planet, so expect divination to not be easy while this talisman is around. Remember to destroy the talisman or delete the image when the planet goes direct again. The temporary fix may also be used to limit the effect of the malefic planets Saturn and Mars. For instance, another friend has trouble with seasonal affective disorder and I made a charm containing the conjoined Kamea and Seal of Saturn and Hellebore to minimize winter melancholy. Again, I emphasize that this is a short-term talisman. The friend in question had surgery and found that her stitches weren’t properly healing. As Saturn controls bindings and boundaries and is associated with the skin, this makes sense; the sealed kamea was destroyed and the complications abated. There may additionally be darker applications for this particular trick, say binding the planetary energies of Venus in the life of your enemies, but we’ve not tried it yet.